It's amazing what small livery variation created interest amounts photographers during BR's rail blue years. 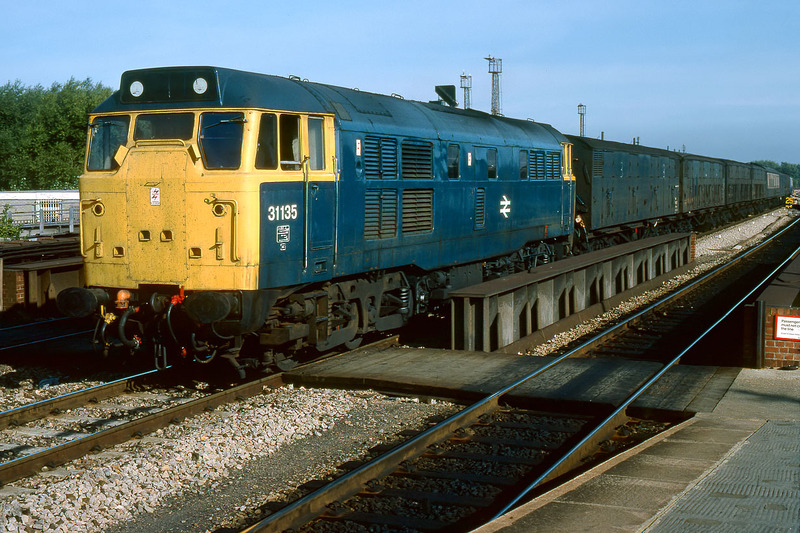 31135 was noteworthy, as its yellow front end extended back not only past the side windows, but also included the top part of the driver's door. It is pictured here coming through the middle road of Oxford station on 4 September 1982 with the 3V19 04:50 Banbury to Old Oak Common empty newspaper vans.